Dr. Jeffrey Schacter has had a successful chiropractic practice since 1987. He bases his success on individual patient care. Whether he is treating a child, business person, athlete or the elderly, he takes pride in his care and treatment. He has practiced in downtown Calgary, Alberta for over 30 years. He has also held licenses to practice in Arizona, Missouri, and Illinois. After graduating from Logan College of Chiropractic in St. Louis, Missouri in 1986, he was asked to stay on and help teach at the college. 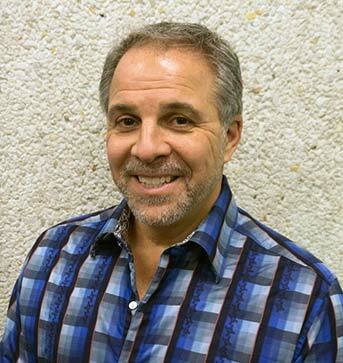 In 1987, Dr. Schacter and his wife, Alicia, moved back to Calgary where he began to practice chiropractic. Dr. Schacter’s treatment technique is called “diversified”. He also uses infrared therapy and soft tissue manipulation as an adjunct to his chiropractic adjusting. Dr. Schacter believes that chiropractic is not only used to treat pain and suffering but also as a way to help maintain your health. Dr. Schacter believes in a multidisciplinary approach to health care. Dr. Schacter is also the founder and chief advocate of Nuvaply.com. Nuvaply™ Tear-Care patches are a quick and ready to use product that repairs minor rips, tears or cracks on patient care surfaces. So visit Nuvaply.com to learn more. Read reviews of Dr. Schacter & Tower Chiropractic at RateMD. Call us at (403) 263-7477 to request your Downtown Calgary Chiropractor appointment with Dr. Jeffrey Schacter today!